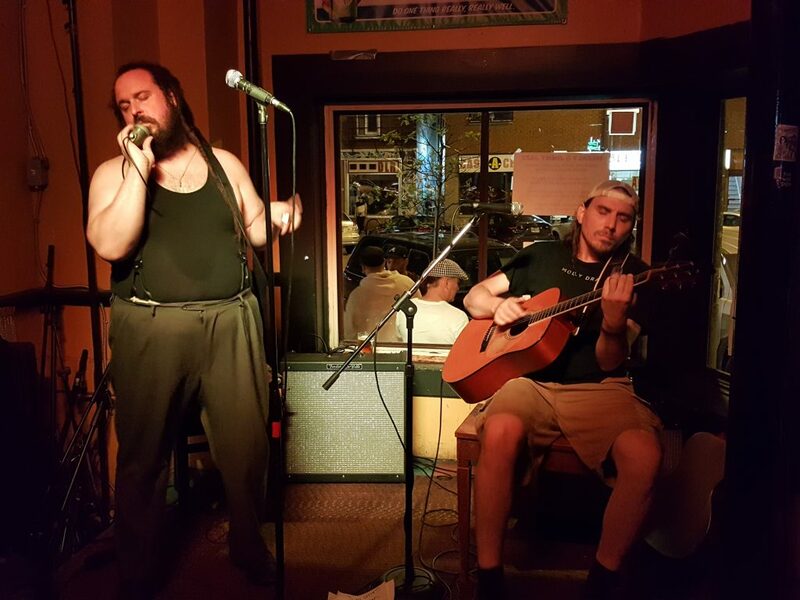 This Delta Blues band is a super fun mashup of modern music and 1920’s style blues! I love getting to see them when FRANKIE & JIMMY play at Jimmy Jazz (no relation). I can’t stop smiling when I see these vagabonds play. The combination of Frankie stomping on his bass drum/tambourine midi board and Jim Fitzgerald Jr. singing through his distortion microphone give an old-timey feel, compounded by the surprising energy and keen, unique, sassy and witty banter twixt the two makes for a really fun show. They opened up the musical performance with their version of Sam Cooke’s “Wonderful World” is an upbeat and honest tone to set for the night. Jim’s boogie finger is hypnotic. Much fun, toe tapping and head bobbing was had! At the end of the set, Jim asked Jason, the bartender: “‘You wanna put something on your Napster player?” and we laughed…. Frank’s slide blues scales and Jim’s jam on the harmonica are so fun to watch! The second set opened with their version of Sam the Sham & The Pharaohs‘ “Little Red Riding Hood” and let us know that this set was going to be even more fun and energetic. Sweat was pouring out of both musicians as they wowed the crowd. 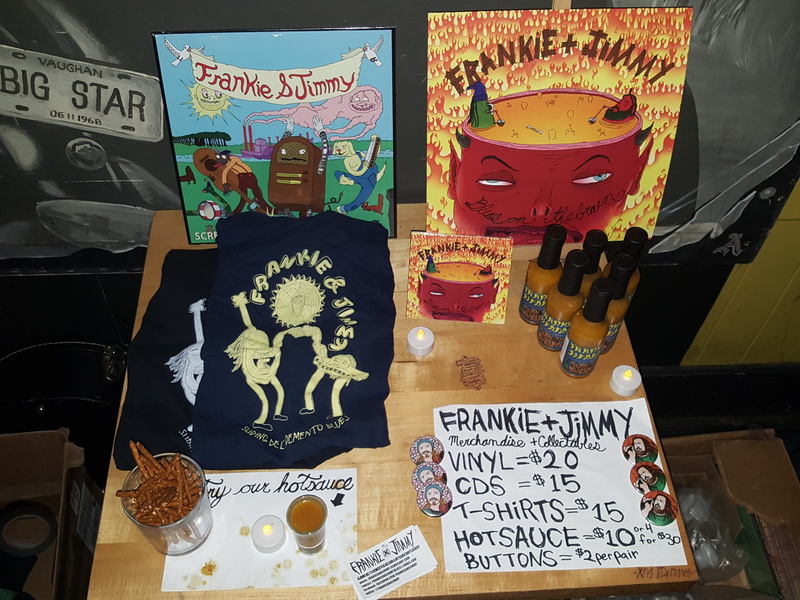 I bought both a new album they’ve released called “Blues on the Brain” and a bottle of their signature FRANKIE & JIMMY’s Hot Sauce, which I put on more than everything. Including invading ants. You gotta check these guys out!